Live from the Royal Albert Hall in London, Richard Egarr conducts the Academy of Ancient Music in Handel's Coronation Anthems as well as music by Muffat, Purcell and Bach. 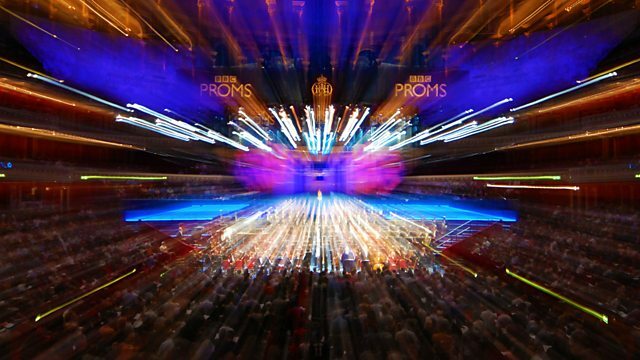 Live at BBC Proms: Academy of Ancient Music and conductor Richard Egarr in Muffat, Purcell and JS Bach and Handel's Coronation Anthems. On 11 October 1727, George II was crowned King of England at Westminster Abbey. The House of Hanover's favourite composer was the natural choice to provide the music. Handel wrote four majestic Coronation Anthems for the occasion, the most famous, Zadok the Priest, designed to unleash its blazing choral entry just as George stepped into the Abbey's chancel. The Academy of Ancient Music returns to the Proms to fill the Royal Albert Hall with all the regal splendour of Handel's Coronation Anthems and with Leopold Stokowski's equally grandiose upholstering of music by Bach and Purcell. Performer: Thurston Dart. Performer: John Langdon. Choir: Choir of King’s College, Cambridge. Orchestra: English Chamber Orchestra. Conductor: Sir David Willcocks. Orchestra: The English Concert. Conductor: Simon Preston. Choir: Choir of Westminster Abbey. Orchestra: Academy of Ancient Music. Conductor: Richard Egarr. Conductor: Richard Egarr. Orchestra: Academy of Ancient Music.